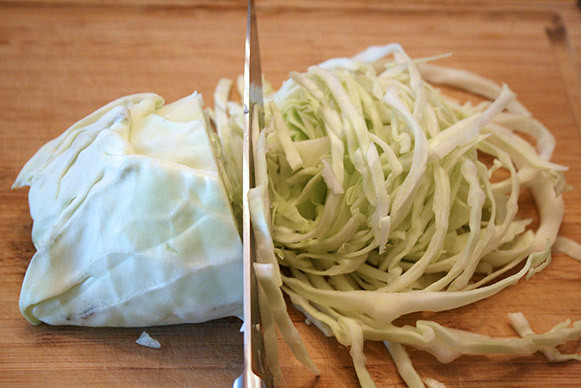 Do you often wonder what to do with leftover cabbage after using just a piece of the usual huge heads? One whole cabbage can last such a long time. I use leftovers for slow, pot au feu, gyoza (pot stickers), yakisoba and I usually still have some left over. 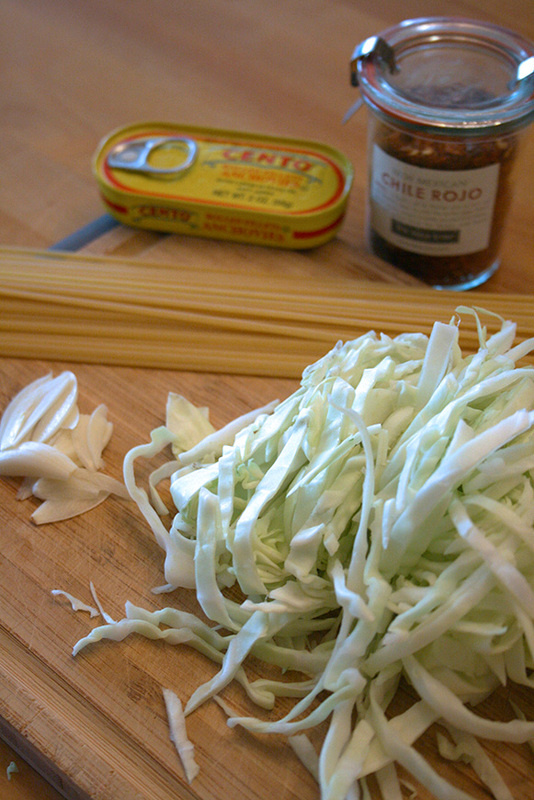 So I made this super easy pasta dish for lunch to finish off the last bit of cabbage. 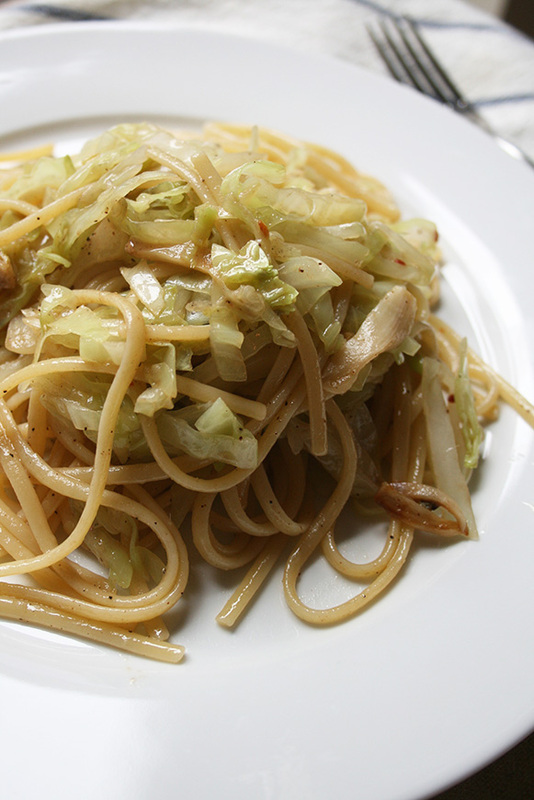 Because cabbage fills you up, you don't need much pasta. It's great for your diet if you are watching your carbs. 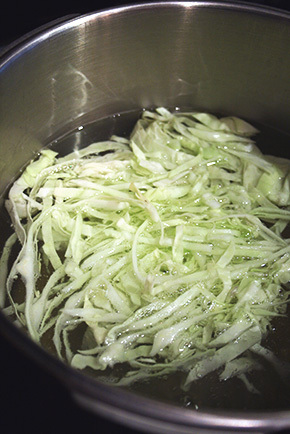 Wash the cabbage and cut it into thin strips. Boil water in a large pot. Add some salt in the water and cook the linguini. Set a timer to four minutes earlier than the suggested cooking time for the pasta. Meanwhile, heat a fry pan in medium heat with oil. 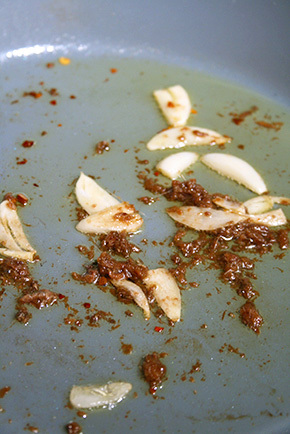 Add garlic, chili flakes, and anchovies in a pan and cook slowly without burning them for 4-5 minutes. 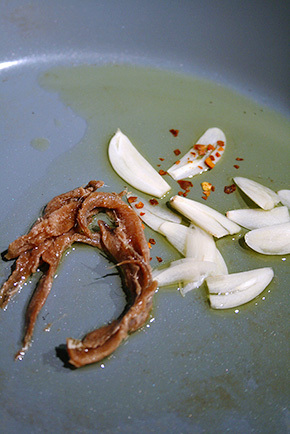 When the anchovies are melted, it is ready. 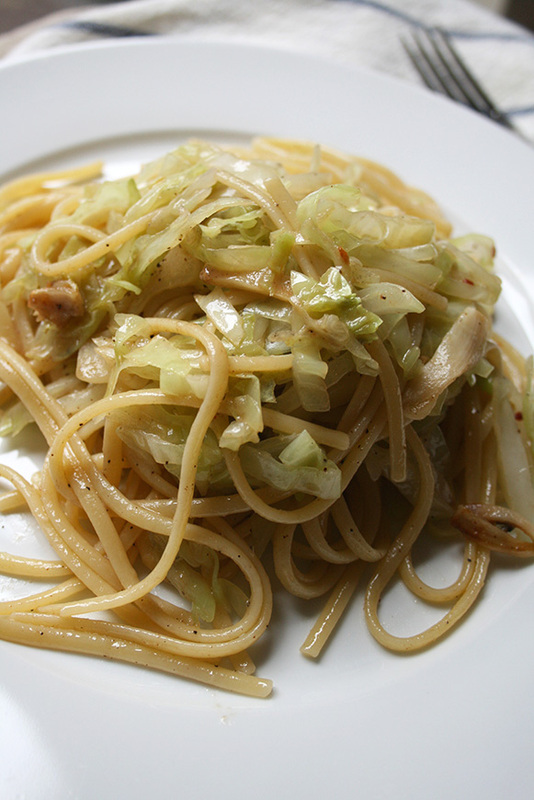 When the timer rings (four minutes before the suggested cooking time), add the cabbage in the pasta pot and cook them together for two minutes. 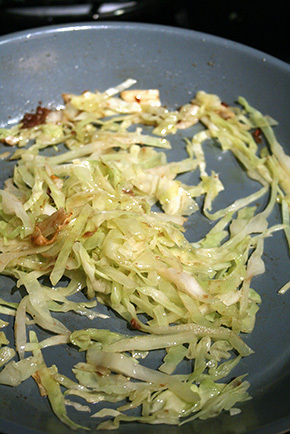 With a pair of tongs or a spider, add the cooked cabbage to the garlic and anchovies sauce and cook for one minute. 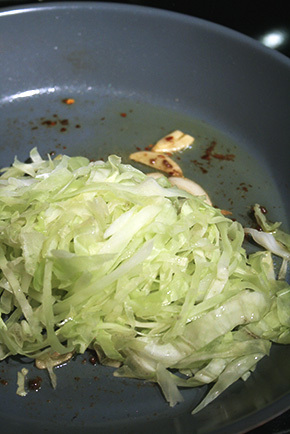 When the cabbage is cooked, the paste should be ready. 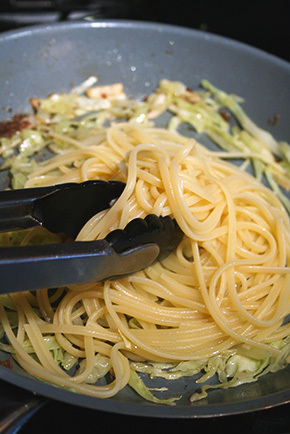 Use the tongs to add pasta into the fry pan. 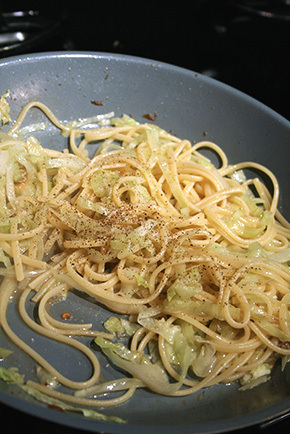 Then add 1/4 cup of the pasta cooking water, mix it all together and cook until the water evaporates. Salt and pepper to taste. Ready to eat.